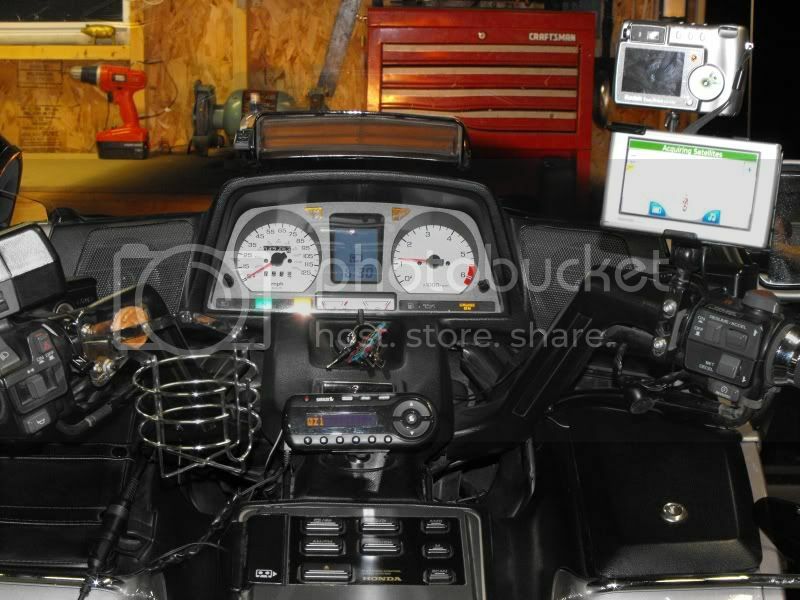 So, you have all your gear mounted... think you have a pretty sweet layout on your cockpit? While this one isn't mine, it is a prime example of what they are coming to. check it out... maybe post yours too! Getting to be like a fighter pilots cockpit. Too many distractions. That was a while ago Jack... :funny: I have revamped it a bit since then... its less cluttered now.. Here is what I see from my rolling lazyboy. NICE how did you mount that cover over you radeo face? If you are asking about my Vetter cycle sound, It came with the bike. I just had to enlarge the opening when I put the new radio in. I have seen a similar cover for sale in West Marine. 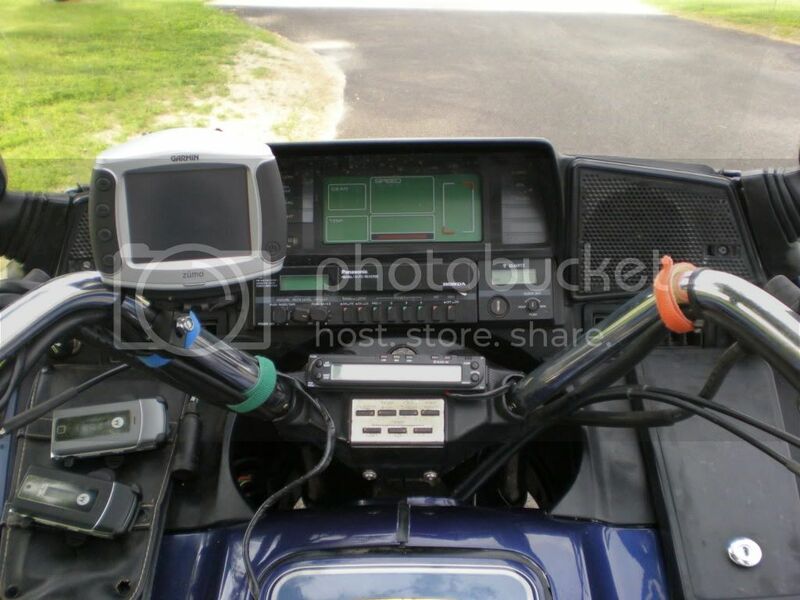 Here is my cockpit now that I have started preparing for my NM run... still gotta get Rudy's Smart Lite done tho. 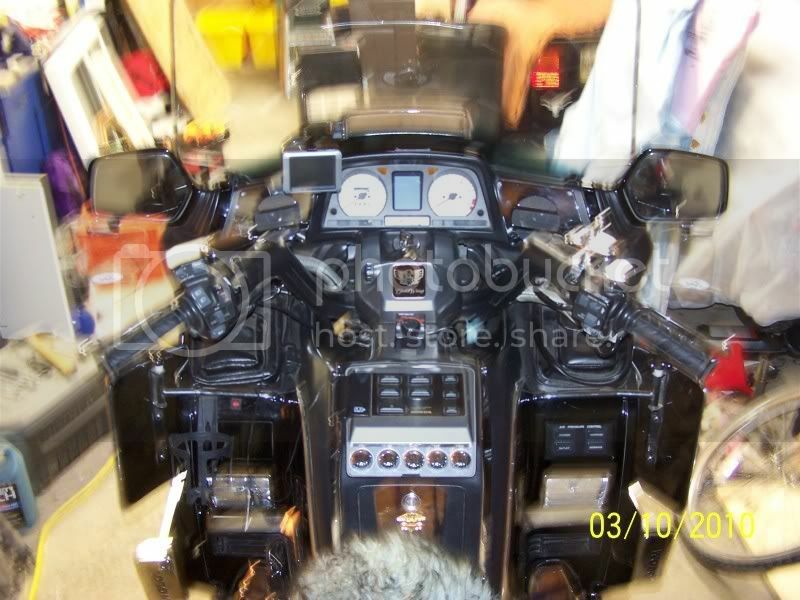 Looks good, I gotta get my GPS and 12V permanantly mounted when I bring the bike out of hibernation. New have a look at deans mounts they work great at a sustntially reduced cost! What mount is that? for a GPS?